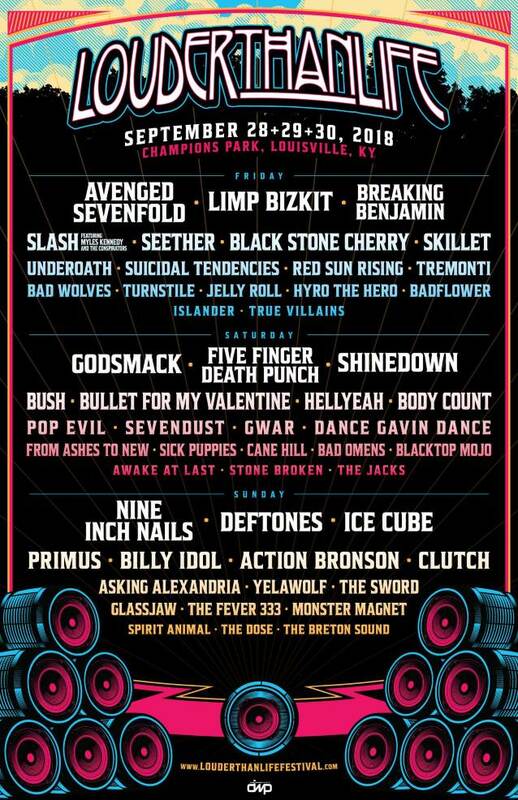 A massive music lineup led by NINE INCH NAILS, AVENGED SEVENFOLD, GODSMACK and DEFTONES has been announced for the fifth annual Louder Than Life as the festival expands to three days — Friday, September 28, Saturday, September 29, and Sunday, September 30 — at Champions Park in Louisville, Kentucky. The general onsale for Louder Than Life general admission tickets, VIP and Top Shelf VIP Packages, hotel and ticket packages, as well as tent and RV camping begins Friday, June 8 at 12:00 p.m. ET. GODSMACK's Sully Erna said: "We're honored to be headlining the Louder Than Life festival in Louisville this year! Looking forward to partying with all of you again real soon!" 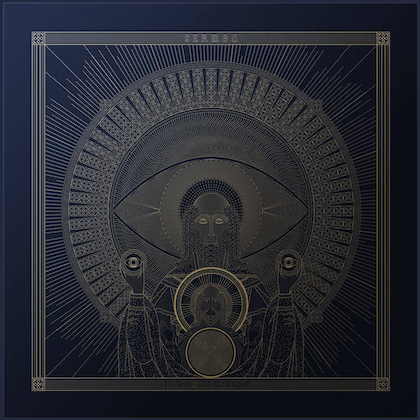 Benjamin Burnley of BREAKING BENJAMIN commented: "We're excited to come back to Louisville for Louder Than Life 2018 and play songs from our new album, 'Ember', for the first time in Kentucky! We always have a good time there and look forward to what we know will be a kickass show." Festival producer Danny Wimmer, founder of Danny Wimmer Presents, explained: "I couldn't be prouder of what we have accomplished since the inception of the festival. In five years, Louder Than Life has become the largest rock 'n' roll whiskey festival in the world, and I see no better way to celebrate its fifth year than to close out the weekend with NINE INCH NAILS and Ice Cube." For more information, visit www.LouderThanLifeFestival.com.